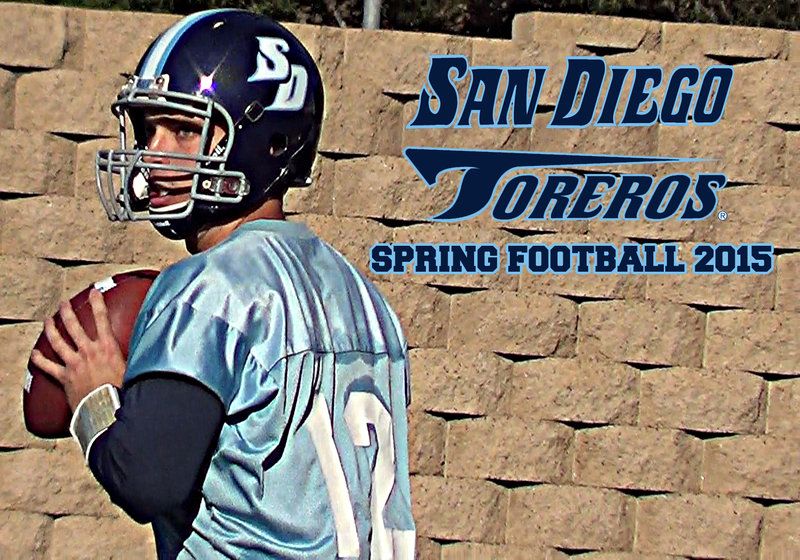 For the second straight season, the University of San Diego Toreros will have a new starting quarterback. With Keith Williams deciding to transfer, redshirt senior Trey Wheeler is projected to lead the offense during the 2015 season. Wheeler completed 18 of 31 passes for 153 yards and 2 touchdowns during his only career start at USD. Filling in for Williams, who was out with an injured hand, he helped lead the Toreros to a 31-23 win over Stetson. We had the privilege of speaking with both Wheeler and head coach Dale Lindsey after the Toreros concluded their first of 15 spring practice sessions. Check out the video below to see what they had to say.